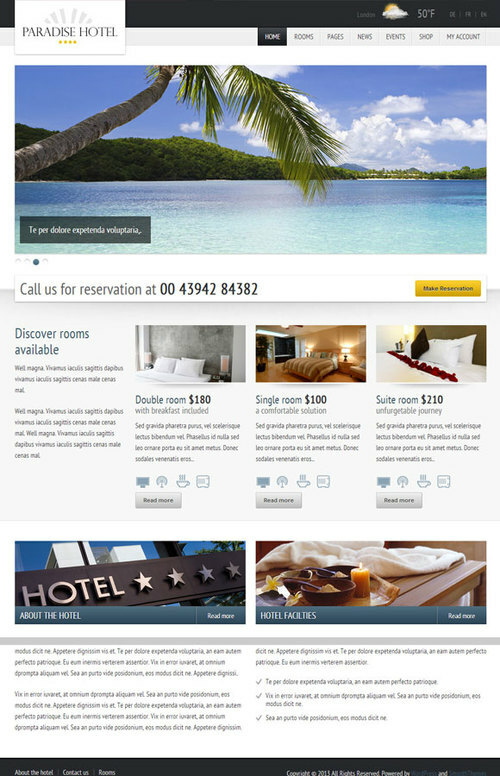 Responsive Paradise Hotel is a WordPress theme suitable for hotels, restaurants, spa and similar. The layout looks beautiful at any size, be it a laptop screen, iPad, iPhone, Android Mobile or tablets. It features a responsive design, 2 homepage layouts, drag and drop page layout, translation ready, easily build an online store with WooCommerce, Ajax Events Calendar, advanced themes options, online reservations, scrolling featured images, scrolling images, star ratings, local weather temperature and more.